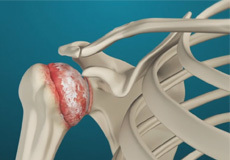 Acromioclavicular joint, or distal clavicle, osteolysis is an unusual condition in which the outer end of the clavicle (distal clavicle) undergoes multiple minor stress fractures secondary to repetitive injuries. 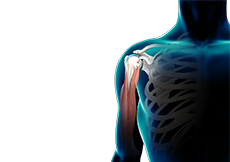 As a consequence of these injuries, the bone is eroded at a faster rate than it can be repaired and as a result, bone erosion or 'osteolysis' occurs. 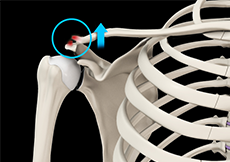 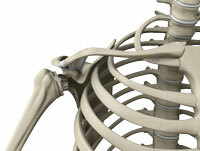 This results in the loss of bone form the distal clavicle. 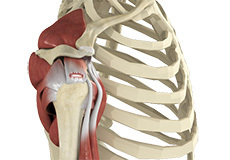 The subacromial bursa is a sac like structure that lies between the acromion (part of the shoulder blade/scapula) and the tendons of the rotator cuff. 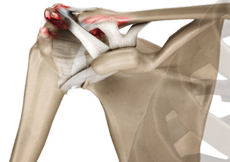 It is known to contain numerous nerve endings such that it is often implicated as a source of pain in a variety of shoulder conditions. 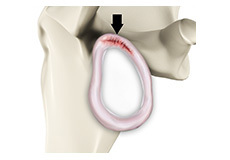 Calcific tendonitis is an unusual condition in which calcium is deposited in the tendons of the rotator duff. 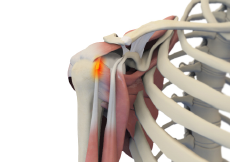 Although it can affect any of the four tendons of the rotator cuff tendons, the supraspinatus is the tendon that is most commonly affected. 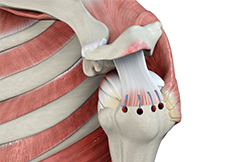 Calcific tendonitis is an unusual condition in which calcium is deposited in the tendons of the rotator duff. 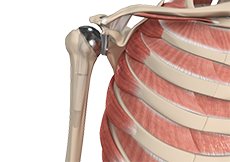 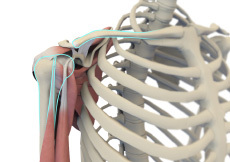 Although it can affect any of the four rotator cuff tendons, the supraspinatus is the tendon most commonly affected. 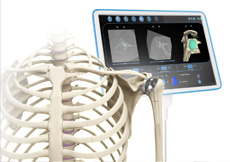 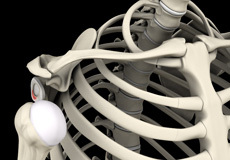 A shoulder replacement is used to minimise any pain that might be occurring secondary to any degenerative changes (arthritis) of the smooth surfaces of the ball and socket of the shoulder joint. 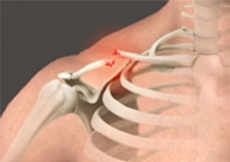 A shoulder replacement can come in many different designs, and the appropriate implant will be chosen depending on the pattern or severity of your arthritis. 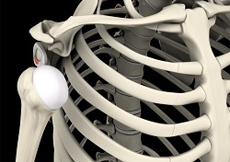 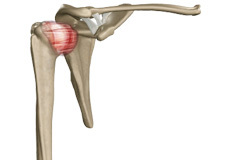 If only the humeral head (the ball) is replaced then the operation is referred to as a Hemi-arthroplasty. 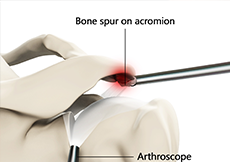 In advanced cases of osteoarthritis or cuff tear arthropathy, the bone of the glenoid (socket) may be so badly damaged that conventional joint replacement may be extremely difficult or impossible to undertake. 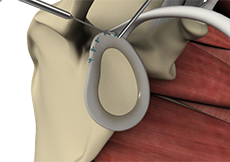 In such circumstances, the use of digital technology can be used to both plan and undertake, the surgery so that postoperative function and implant survivorship is optimised.